The girls over at the nailboard had a summer in February day yesterday, and in honor of the occasion I used a new nail color. This is $opi in special request. This was a gift from my mom and I love the color. 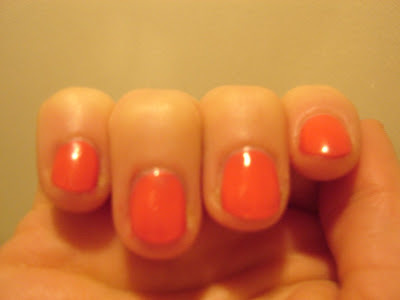 It's a coral that leans more toward orange, and It just screams summer. This is two coats of color with my usual top and base coats. 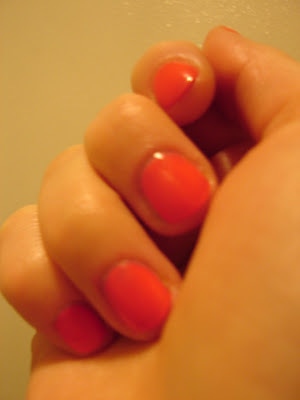 It applied smoothly, and I'll definitely be needing more of these now! This is the same color on my toes. The pictures look bubbly because I used solar spray and it beaded up on the nails' surface.